Curious about what we do and how we can help you? We have answered some of your most frequently asked questions below. Will the cost of my preparation go up if I use Food Service India? No, it will go down because we have done cost calculations to ensure that you save more money than you spend. If you would like to know more about this, you can speak with our Sales Executives for understanding just how we help you save. I use fresh ingredients in my recipes. Will the taste of my preparations be altered with your seasoning? Yes – but it will taste better! We, too, use the best quality fresh ingredients in all our products. With over 8 decades worth of experience in dealing with seasonings and spices, we know what tastes best. How much time will it take to receive the product I have ordered? We will door-deliver your order in a maximum of 8 working days from the date of placement of the order. Is there any particular generic product that I can use to make multiple recipes? Yes. In fact, all our products can be used to create a variety of recipes. You can experiment with our products or call our chef and ask for his suggestions. Each of our products has a suggested recipe printed on the back. 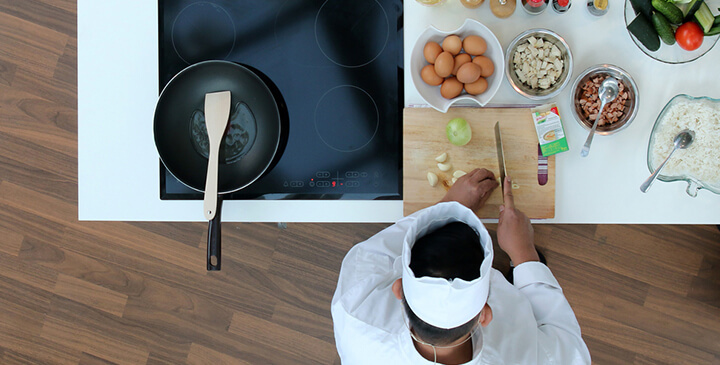 Should you be interested in more recipes or require any further assistance, you can call our customer care number and leave your details – our chef will contact and assist you. I already have a good chef. Why do I need your products? You need Food Service India's products to ensure that your chef delivers the recipes that he/she is capable of. Many of our food solutions have been used innovatively by chefs to create culinary delights. I am starting a new restaurant and do not have a trained chef. Can an unskilled person use these products? Yes. Our recipes are simple and can be understood and implemented by anyone. The suggested recipes are printed on the back of our products and our chef also demonstrates the recipes in your kitchen to ensure clearer understanding.